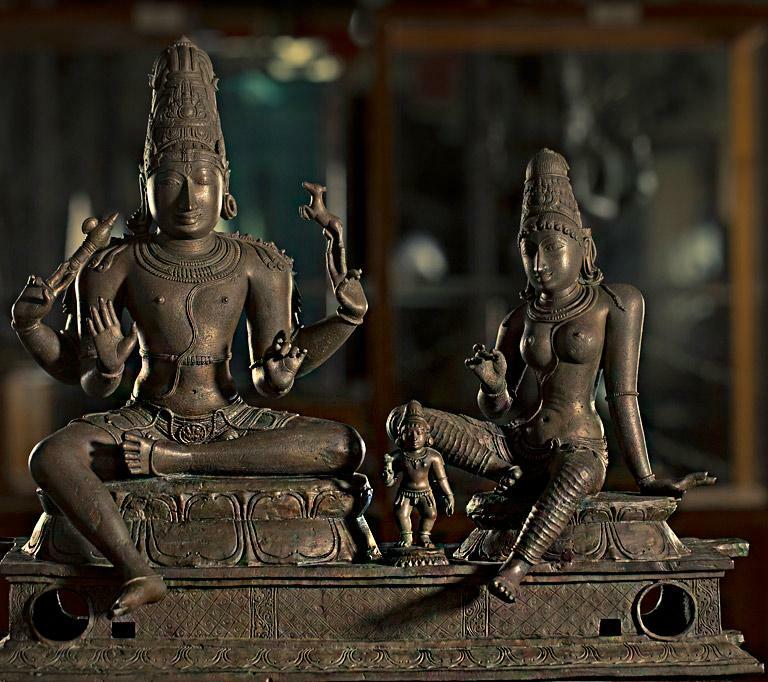 This is a brilliantly crafted group of Shiva, Uma and Skanda image. Lord Shiva wears a makarakundala in the right ear and patrakundala in the left ear. The back hands keep the parasu and the mriga whereas the front hands are in abhaya and Simhakarna pose. The left hand of the Devi rests on the ‘pita’ and the other is in Simhakarna pose. The child Skanda is in dancing posture with a flower in his right hand.